Financial Times is reporting (N.B. paywall) that Spotify will introduce an in-car device enabling direct voice access to Spotify later this year. “The music-streaming pioneer is planning to roll out a voice-controlled in-car music player later this year, according to people familiar with its plans, marking its first push into hardware,” according to reporters Anna Nicolaou and Tim Bradshaw. The new device is expected to connect via Bluetooth to the car dashboard and have preset buttons that correspond to favorite playlists similar to how preset buttons of car radios navigate directly to favorite radio stations. Spotify Voice will be the voice assistant for user interaction. This news follows information that first came into the public domain in April 2018 that appeared to be an ad for an in-car device from Spotify selling for $12.99 per month. That device never came to market, but Financial Times learned that Spotify is working with electronics manufacturer Flex to develop a device that is expected to cost $100. It is not clear whether it will be a subscription as indicated in earlier marketing copy or a device for upfront purchase. The car is the new battleground for voice assistant access as we pointed out recently in the In-car Voice Assistant Consumer Adoption Report. Spotify is currently accessible by voice through Amazon Alexa and Google Assistant and has position in some car dashboards such as BMW, Jaguar Land Rover, and Volvo, but the company is likely looking at two different angles with its new device. First, having Spotify Voice as the voice assistant access point will enable Spotify to exert greater control over the user experience. Second, offering a device for the hardware enables users to have native Spotify control even in older cars, provided they at least include Bluetooth connectivity. It can take years for new technology to be incorporated into in-car infotainment systems and then the new automobiles only represent a small portion of the market. It has been an open question whether consumers would be interested in adopting a separate in-car device simply to bring a voice assistant into the car in a way that is superior to a Bluetooth connection to a mobile app. Roav Viva (Anker) and Muse Auto both delivered a hardware solution that plugged into the 12-volt outlet available in most cars and connected directly to Alexa through a mobile device. At CES 2019, two new devices emerged to enable Google Assistant support, the Roav Bolt and JBL Link Drive. Sales numbers are not available for those devices. However, Amazon revealed during CES that it had received over one million pre-orders for the Echo Auto device announced in September. Consumer demand appears to be robust, at least for an Alexa enabled in-car device. However, these devices also provide a reference in terms of what Spotify is getting into. Echo Auto has multiple microphones to enable audio beamforming that suppresses background noise and creates more clarity on the primary listening channel. 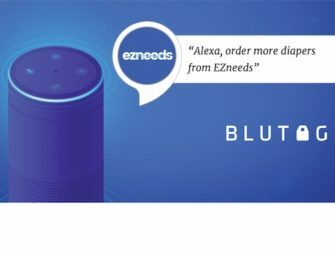 That device also enables both Bluetooth and Aux connection options and offers access to more than 50,000 Alexa skills in the U.S. The new Spotify device presumably will only control the Spotify mobile app. Spotify no doubt is concerned that its three closest subscription streaming music rivals, Amazon, Apple, and Google, all have voice assistants with broad distribution across multiple devices. This means those voice assistants will over time have the opportunity to steer consumers toward their own services and away from Spotify. Even if they don’t engage in steering practices, the second-party voice capabilities typically can access more features than third-parties like Spotify. You can imagine Spotify’s concern about always having fewer features or getting them later than rivals. In addition, Pandora, which has a very large U.S. user base, this week announced its own voice assistant embedded into the company’s music streaming app. This offers many more features than Spotify’s current voice search capabilities. The leak of the Spotify device’s 2019 launch plans may have been in response to the new devices introduced at CES and Pandora’s voice assistant announcement. Spotify doesn’t want to get left behind in the in-car voice discussion and sharing that it has plans could keep them in the conversation.